APPEAL FROM THE FOURTH JUDICIAL DISTRICT COURT, MILLARD COUNTY, STATE OF UTAH TILE HONORABLE JUDGE DONALD EYRE, JR.
Edwin C. Barnes; Clyde Snow and Sessions; Attorneys for Appellees. John H. Mabey, Jr.; David C. Wright; Mabey Wright and James, PLLC; Attorneys for Appellants. Norman K. Johnson; L. Ward Wagstaff; Julie I. Valdes; Assistant Attorneys General; Mark L. Shurtleff; Utah Attorney General; Attorneys for State Engineer; Attorneys for Amicus Curiae Utah State Engineer. Legal Brief, Delta Canal Company v. Frank Vincent Family Ranch, No. 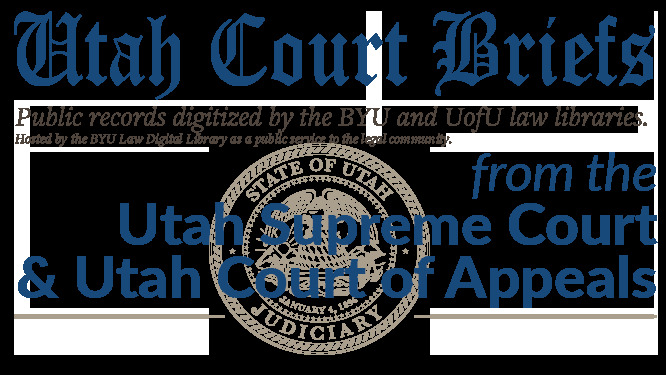 20120470 (Utah Supreme Court, 2012).